Gain Free Storage Space, Perform Off-Site Back-Ups, Share Your Account Safely, and More! Dropbox is, in a word, awesome. From its humble beginnings back in 2007, the robust cloud-storage service has grown by leaps and bounds in the past few years. Now, in addition to its browser-based interface, the service boasts clients for Windows, OS X, Fedora, Ubuntu, as well as smartphone support provided you're rocking either an Android or iOS-based handset. With the low, low starting price of absolutely free, and an interface with one of the lowest learning curves in the business, its hard find an argument for why anyone wouldn't want to give Dropbox a spin. To help get you started, we've put together ten tips on how to make one of our favorite cloud-storage solutions even more functional than it already is. If you want more than the default 2GB of storage without having to pay for it, log into Dropbox's website and click Get Started > Invite Friends. Every person you refer that opens an account will snag you an additional 250 megabytes of space, up to a maximum of 8GB. No friends to refer? No problem! Just set up a few Gmail accounts and open a new Dropbox account for each. Then, silo off what each new account is used for: documents, photos, PDFs and well, you get the idea. For an even bigger piece of the cloud, consider turning seven gigabytes of each of those Gmail accounts into useable chunks of cloud storage with Gspace. For those of us with Spartan data back-up requirements, there's no need to invest in expensive hardware-based back up solutions. Just dump your files into your Dropbox folder on a regular basis. When your computer connects to the Internet, Dropbox will save an off-site backup of the files. You can set a routine calendar alert to remind you to update your backups on a regular basis. If you have a blog, you can use Dropbox to host its photos. Just drop your content into Dropbox's Public folder. Once the image you want to work with has synchronized to the cloud, right click on it and select "Copy Public Link". Paste the link into your blog's back end interface. Boom: the photo will appear on your blog. Create a folder in your Dropbox account and share it with anyone you please. Log into your Dropbox account and click Share a Folder. Choose whether to share an existing folder or to create a new one. Next, invite the friends or colleagues that you want to have access to the folder. Dropbox will email out your invitations. Move your iTunes library and associated library .xml file into your computer's Dropbox folder and tell iTunes where the new library is located. Set your iTunes preferences on another computer to find the library inside of your Dropbox folder. Let the files sync to the second computer from the cloud and you're ready to rock and roll. If you've installed Dropbox's app to your Android or iOS smartphone, it's easy to stay on task when you're mobile. Create a to-do list on your PC and save it to your Dropbox folder. Then, access it on your smart phone while you're out and about to ensure that you never forget the milk—or anything—else again. When used in conjunction with programs like KeePass Password Safe or 1Password, Dropbox will not only help you to back up all of your computer's security passcode information, it will let you sync that info it to any other machine with Keepass or 1Password installed. Its multi-box security made easy. You can use Dropbox to install software to any number of computers without the need for a network connection. First, upload the program's installation files to your Dropbox account. Next, log on to the computer that needs you freshly uploaded software and log into Dropbox's website. Now, download those installation files and put them to work. If you delete a file from your Dropbox folder and live to regret it, in most cases, you can recover it with ease. 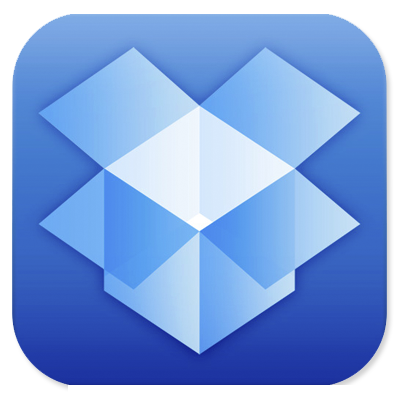 Navigate to Dropbox's website and log in. Click the Show Deleted Files button. Now click on the file you want to restore and click—you guessed it—restore. The file will be returned to your computer's Dropbox folder almost instantly. Covering everything from hi-end gaming PCs to tablets, peripherals and home theater rigs, Maximum PC's print and Web editions stay one step ahead of the fast-changing world of everything computer and computing related. Whether its the latest on building your own desktop system, reviews of the latest laptops and accessories, or roundups of the games and software that make your machine go, Maximum PC brings it to you with news, reviews, and years of expertise. TechnoBuffalo is thrilled to bring you the best of Maximum PC right here on our own pages to keep you immersed in all things digital.